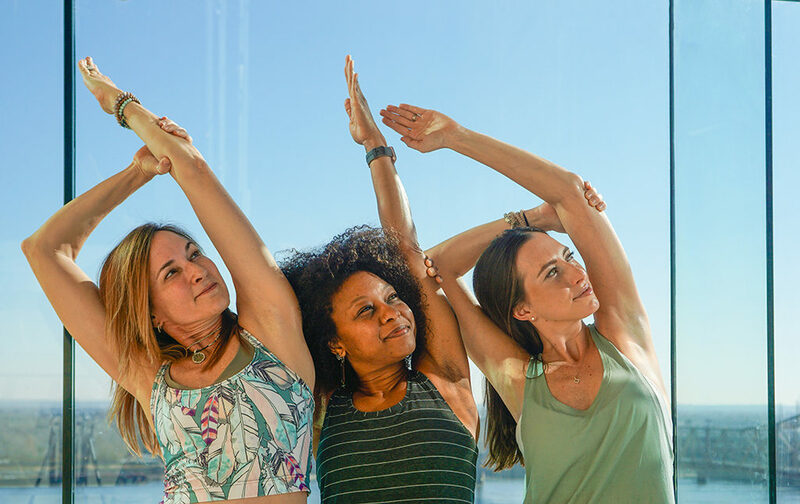 Flow each Saturday and Sunday at 9:00am for 60-minutes in a mixed level vinyasa yoga class guided by Debby Siegel and other of St. Louis’ finest yoga instructors. These classes are designed to set you up for the weekend by decluttering your mind and relaxing your body. Practitioners are invited to refuel with breakfast at Four Seasons’ Cinder House on the 8th floor after yoga and enjoy a 20% savings. Participants must be aged 16 or older. Please arrive and be prepared to begin class at the scheduled start time of 9:00am. Guests arriving more than 5 minutes late will not be permitted to join the class. When available, this class will be offered on the 8th floor Sky Terrace. Complimentary self parking is available in the garage – entrance off Carr St. Bring your yoga mat, water bottle and smile.